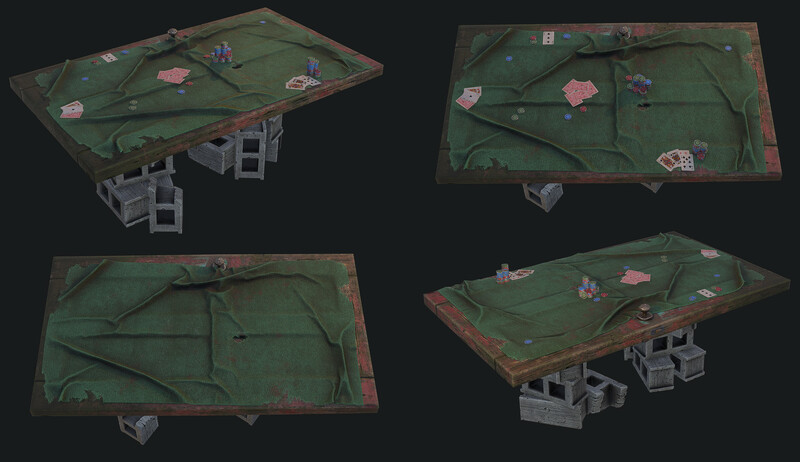 Visually, the area has gone through many stages, and we've been able to achieve a high level of polish. As you explore it you will find that it is filled with small props and details, which should add another level of immersion to it. Beyond that little bit of info, you'll just have to visit it in-game to see everything else they have to offer! 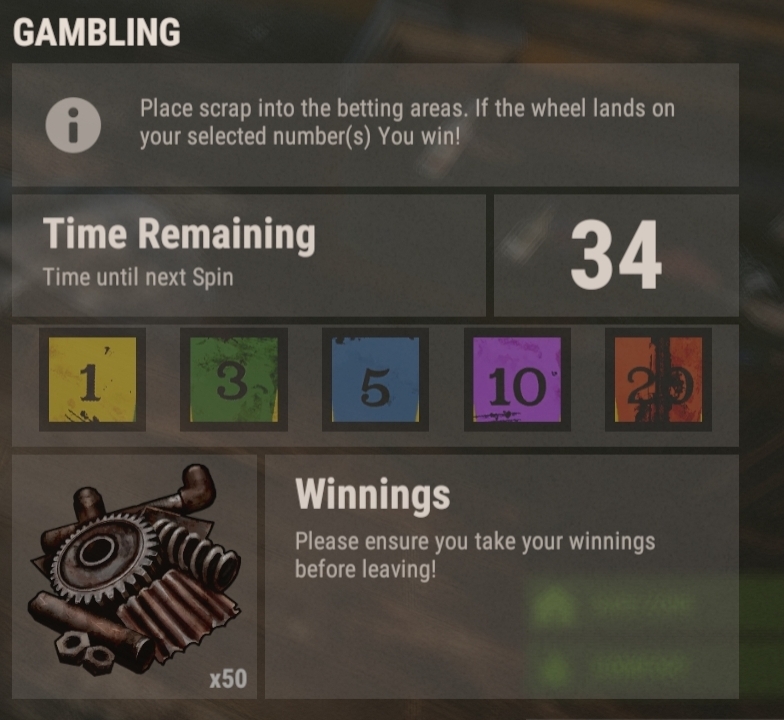 You can bet on 1, 3, 5, 10 or 20. 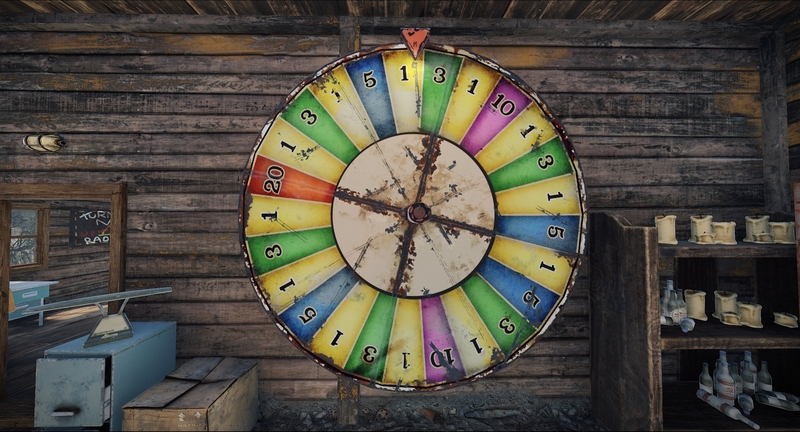 Every 45 seconds the wheel spins, and if it lands on your number you get your original bet back plus whatever the number was as a multiplier. This means putting 10 scrap on 3 yields you your original bet plus 30 scrap! There is a bit of a house edge, so don't think you'll win in the long run. If you're willing to take a risk and just need another 40 scrap to research that weapon you can give it a go. If people really like it, and we get some time in the future, maybe we'll add PvP games, like Poker, however I feel as though that would end up creating some real PvP afterward. 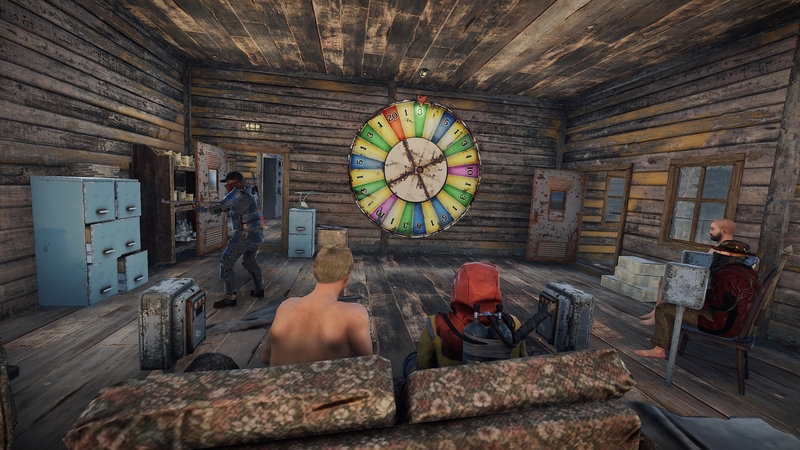 Server Owners can change the spin frequence with the convar "bigwheelgame.spinfrequencyseconds"
Unfortunately time ran out to complete the RHIB event. 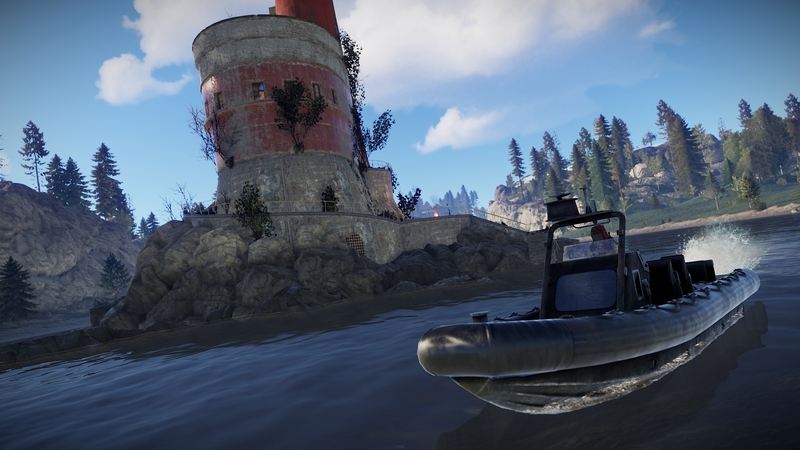 Instead of holding it back another month, I've added spawns for the RHIB around the island. You'll find them offshore near the junk piles in areas away from the starting zone. 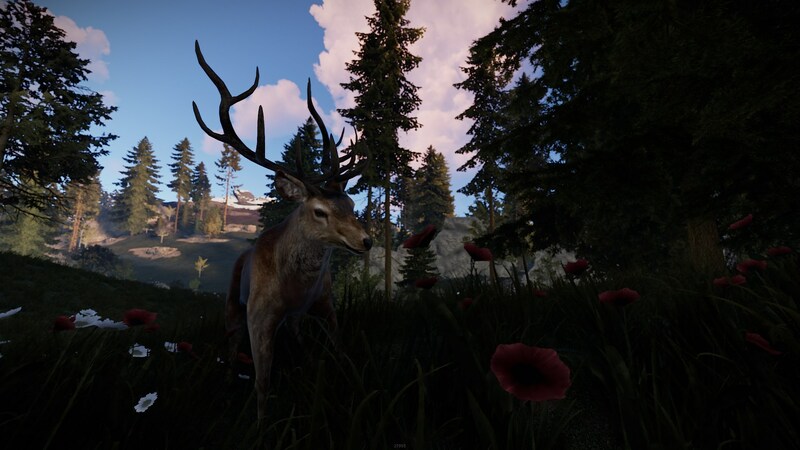 A 4k server will only spawn with 6, so if you're lucky enough to find one you better keep it safe! They're repairable with Metal Fragments, and have quite a bit more health than the standard rowboat. They're also much faster and consume more fuel. Enjoy! 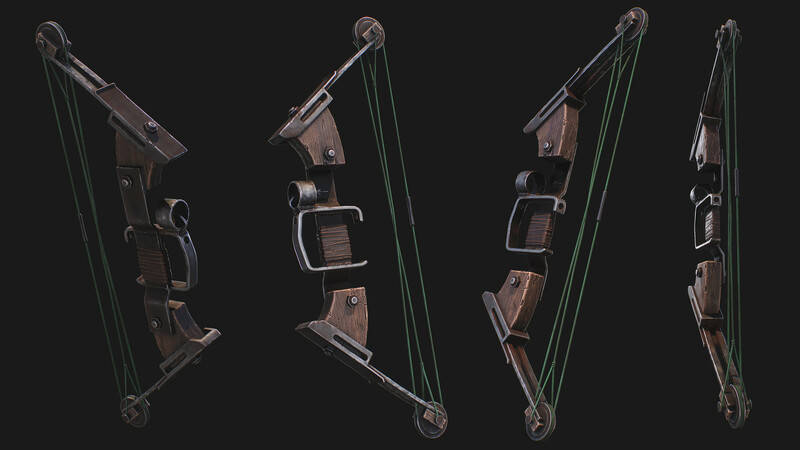 The Compound bow is now in-game. It's a default blueprint and works like a regular bow, aside for the fact that the power increases the longer you hold down right mouse. At full power, the projectile travels extremely far and fast and does twice as much damage as a regular bow shot. The caveat to all this is you cannot move while drawing it or you lose all the built up power. I'm excited to see how people use this. My personal technique is to hit someone with a charge shot and then finish them off with a rapid volley of weaker ones. Shout out to Tom Butters and Alex Webster for the excellent model and animations! 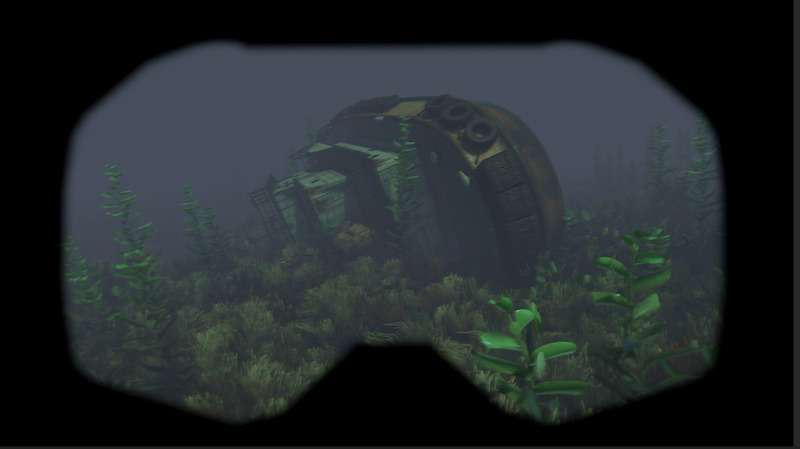 If you'd like to look at it in more depth, here's the 3D viewer for you. P.S. This isn't how compound bows work in the real world, so if enough people lose sleep over this we can rename it to the Advanced Bow. Shockingly, the team system was met with pretty positive feedback. Regardless, we've made a few important changes to how it works. You will no longer see your teammates through walls, you need line of sight to see the dot. This was slightly too OP, sorry guys. You'll also notice that if you open your map, you'll see the names of your team members over their dots without having to hover over. This should make it a lot easier to identify where people are. Lastly, streamer mode should now be fully compatible with the team system. Before doing the total overhaul to farming I decided I should at least make it make a little bit more sense to people. Starting today when aiming at a plant you will be able to see a bunch of statistics which will take the guesswork out of growing crops. You'll see the total age of the plant, how much water it has, how close it is to fruiting, and how much the plant will yield. All the guesswork is now gone, and you'll know for sure that the Hemp will only give you 5 cloth instead of 10. When I finally revamp farming, I'm going to expand the genetics system heavily with crossbreeding and rare seeds, as well as add new plant and food types. I'm also going to add automatic watering and fertilizer and this will become an important part of the game. 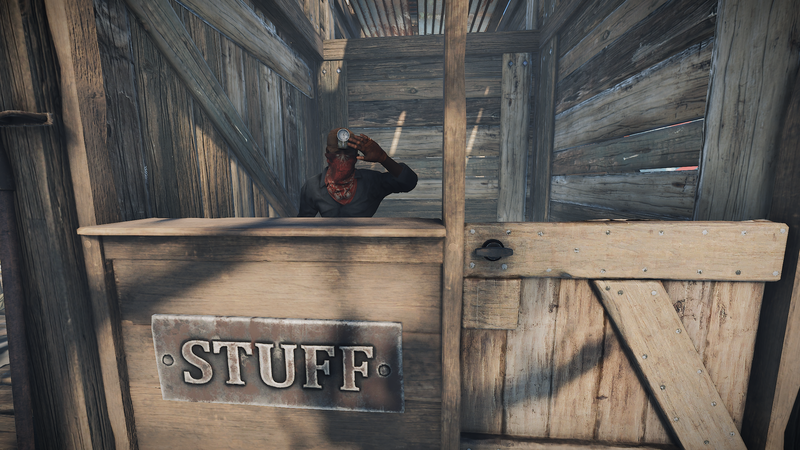 In an ideal world this becomes an element of the game that you can get seriously deep into if you want, but if you're too busy pvping you'll be able to just buy the stuff from other player vendors. 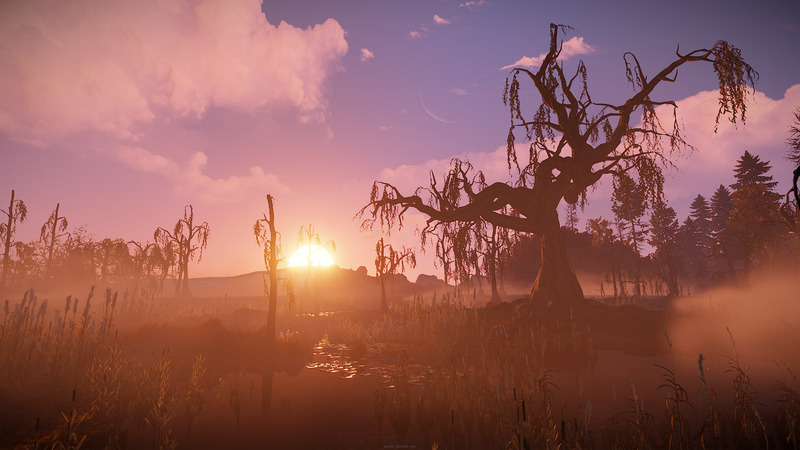 We are limited as far as adding new biomes to the game. To counter this, I used the same method we used for our ice lakes and worked on a mini swamp biome, some of which allow building. 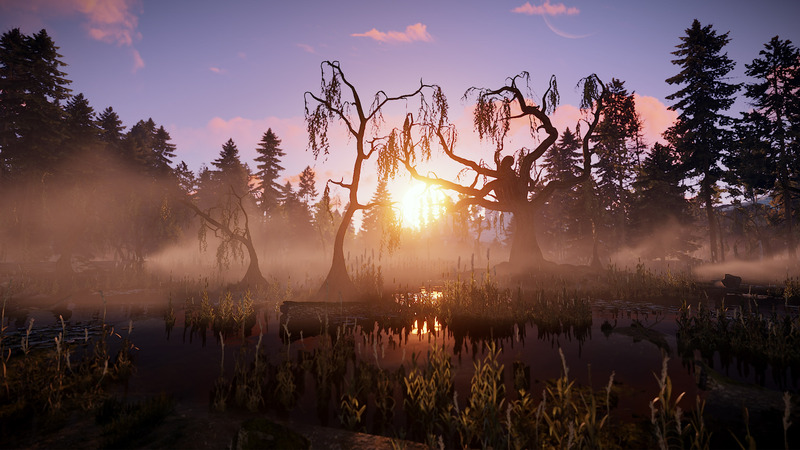 The swamps have a very large tree in the center (that isn’t harvestable), and they offer extra wood spawns in the form of dead logs, and extra sulfur pick-ups with the occasional node. 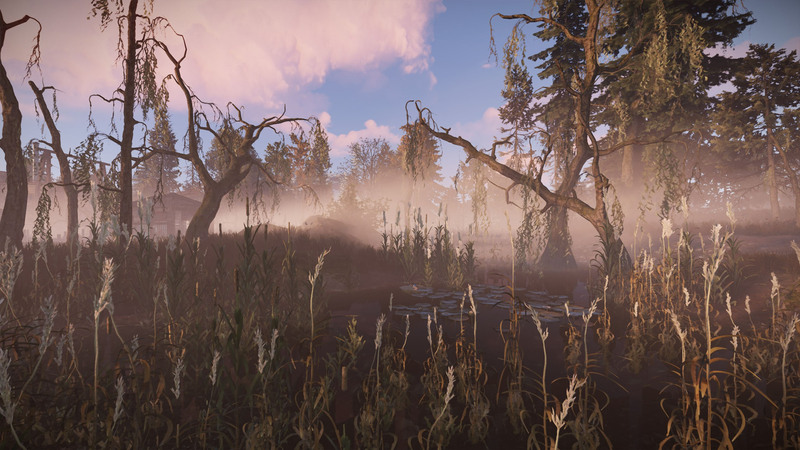 I replaced temporary vegetation introduced in the diving update with nicer plants and weed. I also tweaked the underwater filter to allow other shades of colors than green to be displayed, while still following the style of the initial launch. 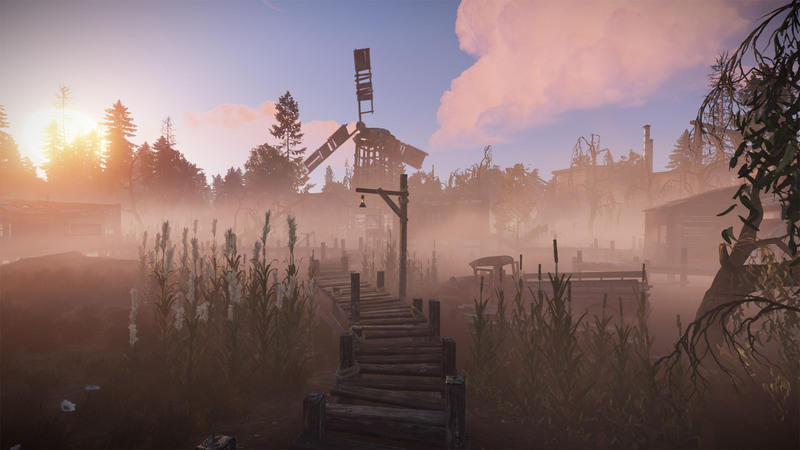 Lots of new stuff for the Rust.World SDK this month. 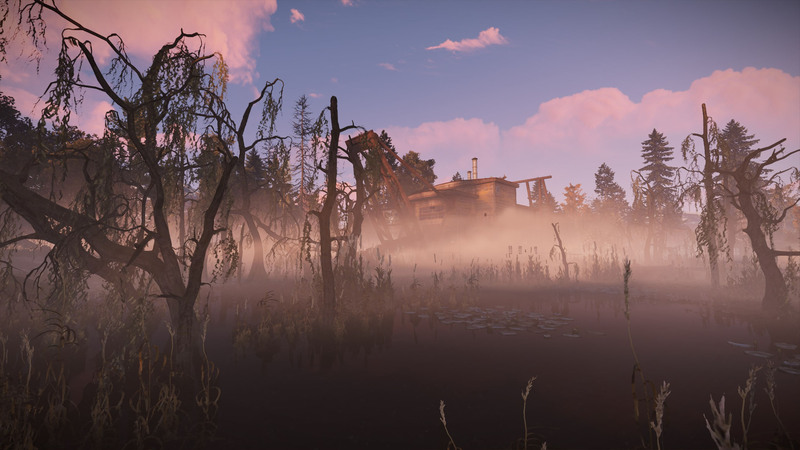 I noticed a huge memory leak from ambience emitters that could also negatively affect performance. It's fixed now and you should hopefully see an improvement, but it's a lesson that we should pay performance some more attention than we've been doing over the recent months. It's one of the main things I'll be doing this month. I started moving more of the procedural generation to native code. This improves loading times and is a requirement for utilizing some of the new features in Unity 2018. The reasons are complicated, but for now enjoy the faster loading times! Expect more of this in the next patch. News flash: The team UI broke demo playback. This is now fixed. I'm sure you've noticed that the last couple of skin releases included skins without inventory icons. This was caused by an icon rendering bug in the workshop upload code. Skin creators whose skins are affected need to update their skins via the workshop interface. This is happening as we speak. 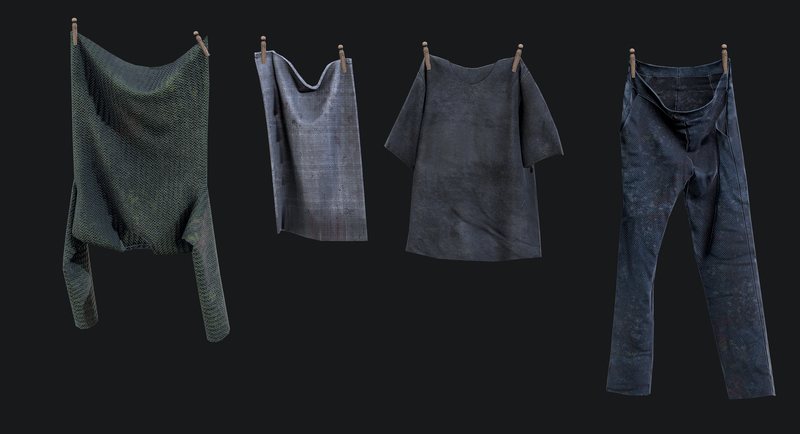 I made some more assets to populate the Bandit Town. 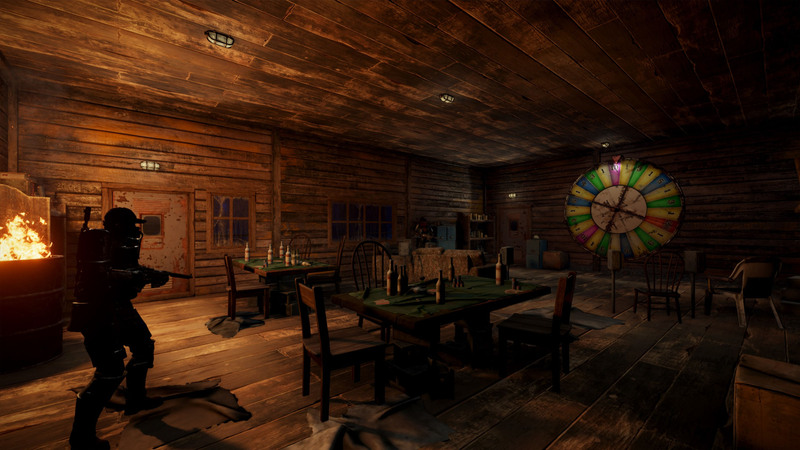 There are candles so it feels more homely and snug, a variant on hanging clothes, and 3 variations of a poker table. 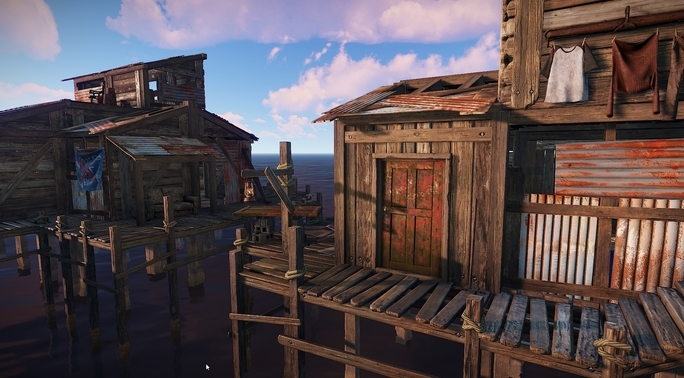 The first also acting as doors for the new town. 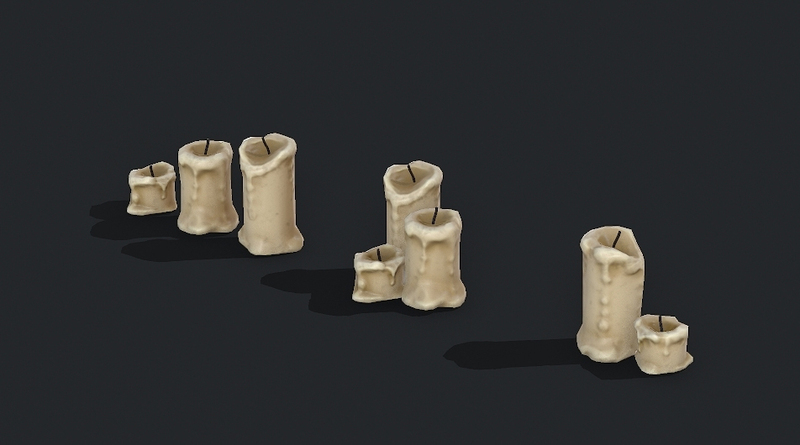 This past month I rolled out a new Atmosphere Volumes feature to our monument designers. 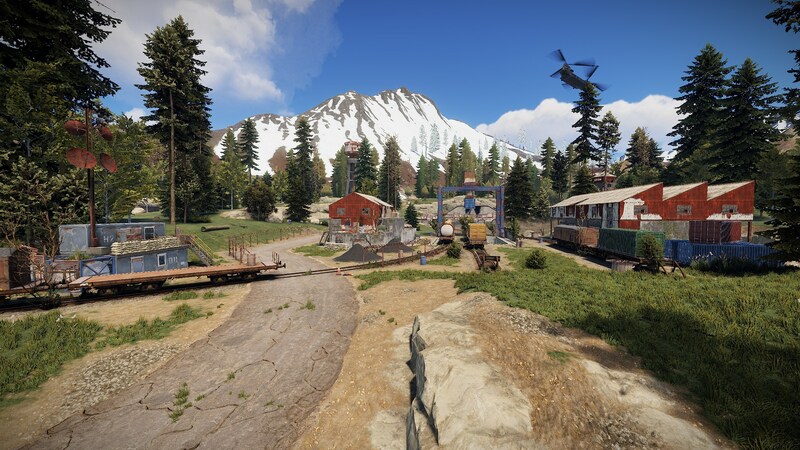 The purpose of this new feature is to empower our artists to further customize the atmosphere of specific areas in order to make them more unique. The scale can be large, like in this example where we cover several buildings, or very small, contained in a single room. 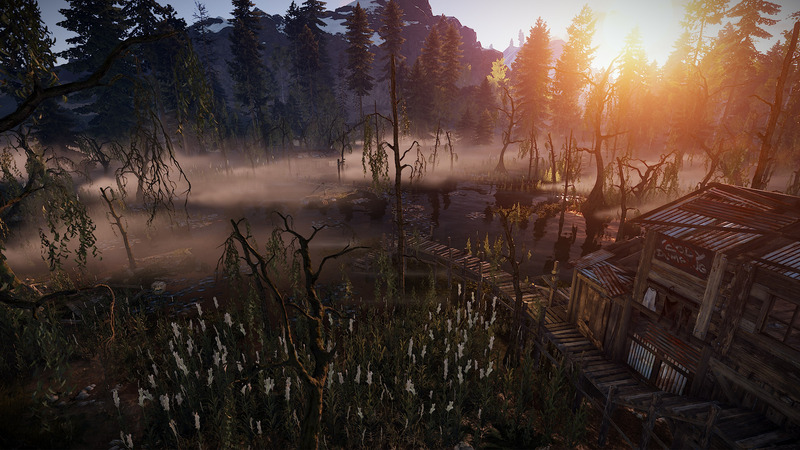 You'll note that, at Bandit Town, the atmosphere is only visible when you enter the actual volume. In the future, however, they will be visible from outside, opening up more possibilities. The workshop icon rendering bug introduced last patch was fixed for this patch. I also took the opportunity to fix a skin shader problem when rendering icons, where the skin was showing almost paper white. Should look more natural now. Team label visibility got a major uplift. Labels simply weren't displaying properly in a lot of cases. Visibility should now be more consistent and less unpredictable. 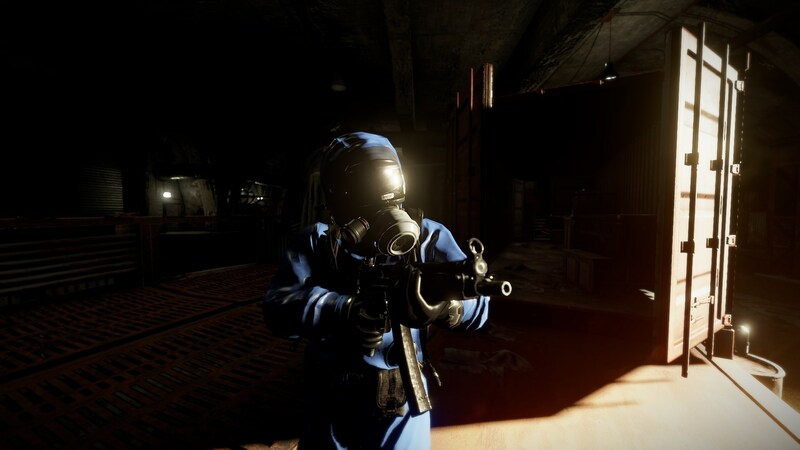 Impostors, an important feature we're working on, unfortunately didn't make it for this month's patch. However, work is still in progress and they are coming along nicely. 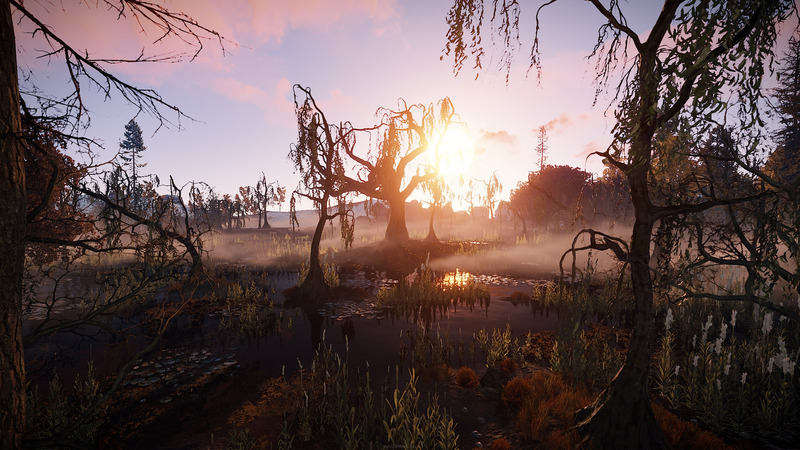 We tried updating to Unity 2018.2, which would allow us to finally roll out proper texture streaming, but unfortunately the build we tested wasn't stable enough. It was delayed until a more suitable version is released. 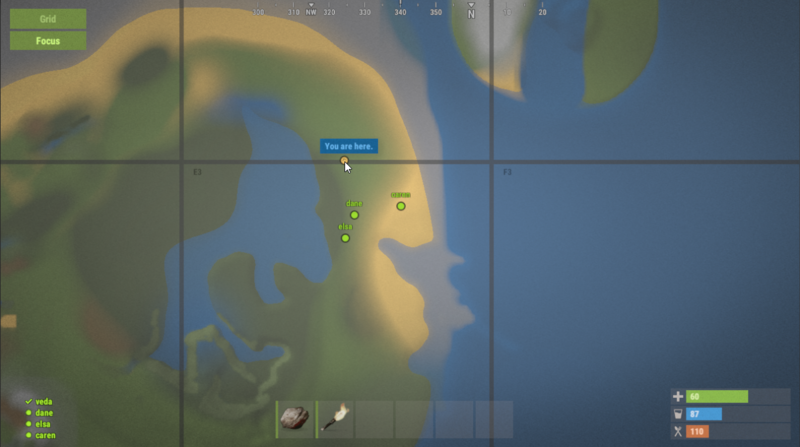 Hapis Island has received some love. 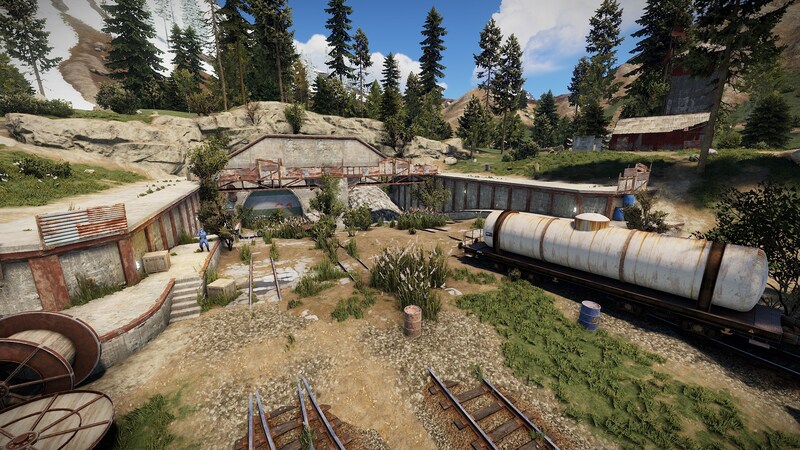 This update brings complete reworks to the Refinery and Military tunnels upper monuments along with first pass on Hapis puzzles. 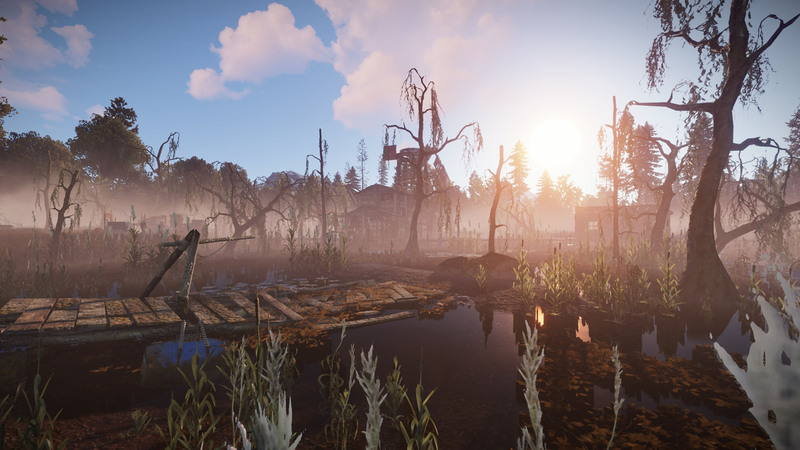 You can expect more polish, puzzles and swamps in the next update. Please note due to a bug Hapis puzzles will not accept fuses on initial server startup. Restarting the server will fix this issue. Linux client builds have been in a rough state over the last couple of months: black screens, crashes, input issues, and more. These were all introduced as we upgraded through various Unity versions. We're currently unable to downgrade to a Unity version which corrects these issues, and we're also unable to upgrade Unity to 2018.2 due to a number of new issues. It’s in a state of limbo that we're unable to resolve. 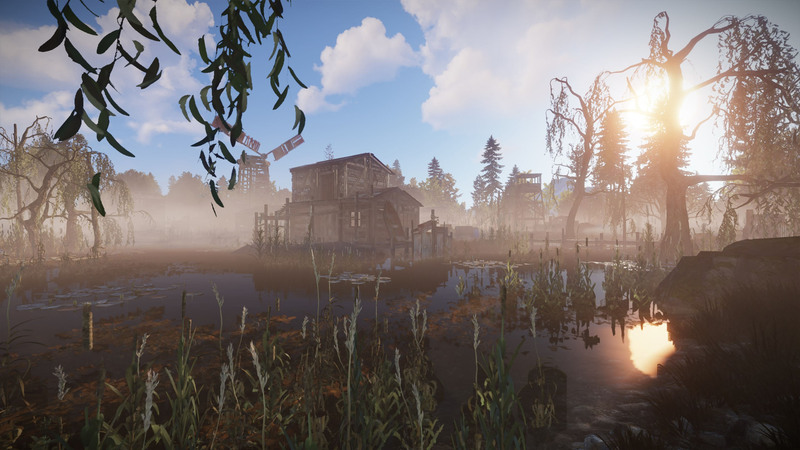 So instead of selling a broken game to the platform, we have removed the Linux version of Rust from sale. We're still going support and maintain Linux for existing customers, and you'll still be able to download and receive updates as normal. Once Linux is in a working state, we'll need to review our QA practices before allowing future Linux sales. Linux server builds are completely unaffected by this change. We're currently aware that a number of OSX users are experiencing crashes, and we're actively investigating. You're not forgotten! If you're experiencing a crash while running OSX please open a support ticket and send us your player.log and system specs. 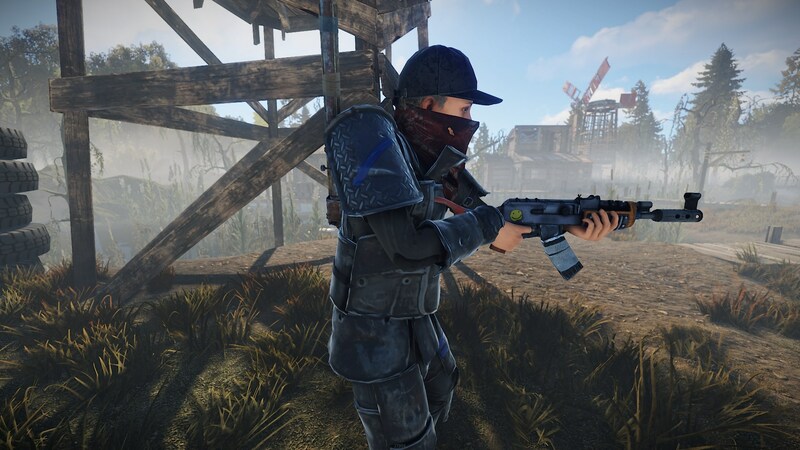 Bandit guards are trying to keep relative peace at the Bandit Town this month, wearing Heavy Armor and holding AKs and SARs. They act a bit different from Scientists in that they hold their position and will only seek cover close to their station. They won't chase players, and they will not flee. 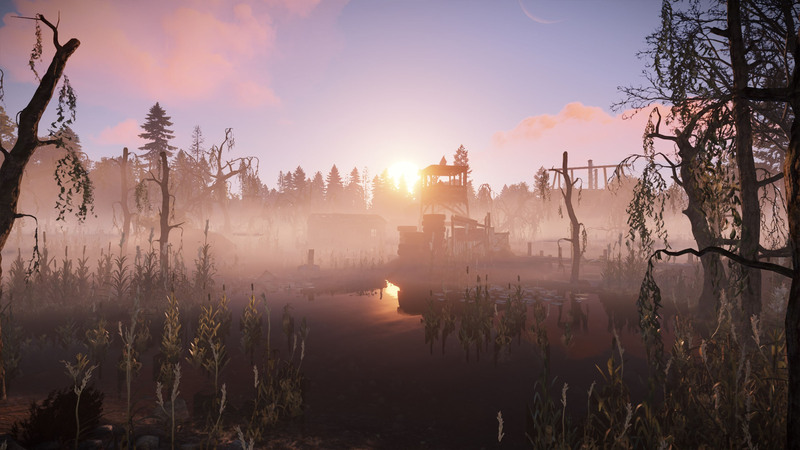 Players are allowed to hold weapons in Bandit Town, except for the Casino area of the dredge. 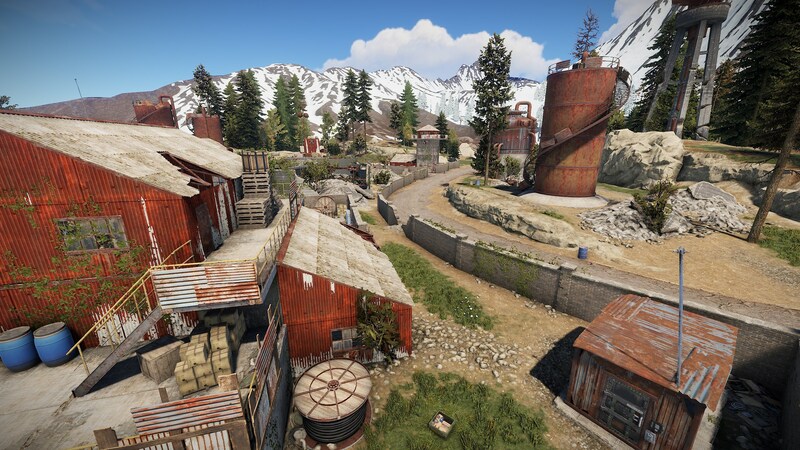 Firing a weapon is not tolerated however, but if you shot someone, or fired your weapon, before you entered Bandit Town, the bandits won't care. The Military Tunnels saw a bit of a reinforcement this month as well, with more stationary Scientists in certain strategic spots. Let's see how that plays out. Scientist corpses should no longer fall through the ground, and when an NPC spawn, they won't be invincible for as long as before. When picking targets, NPCs will judge distance more correctly, and when an NPC is hit by a melee weapon, they will now react better. Animals saw some love this month too. They are now encouraged to roam towards preferred topologies on the map, rather than move randomly. In the past animals tended to end up along the coast of the map, and the randomness, or the lack thereof, would cause animals to end up in clusters. This should now be improved.